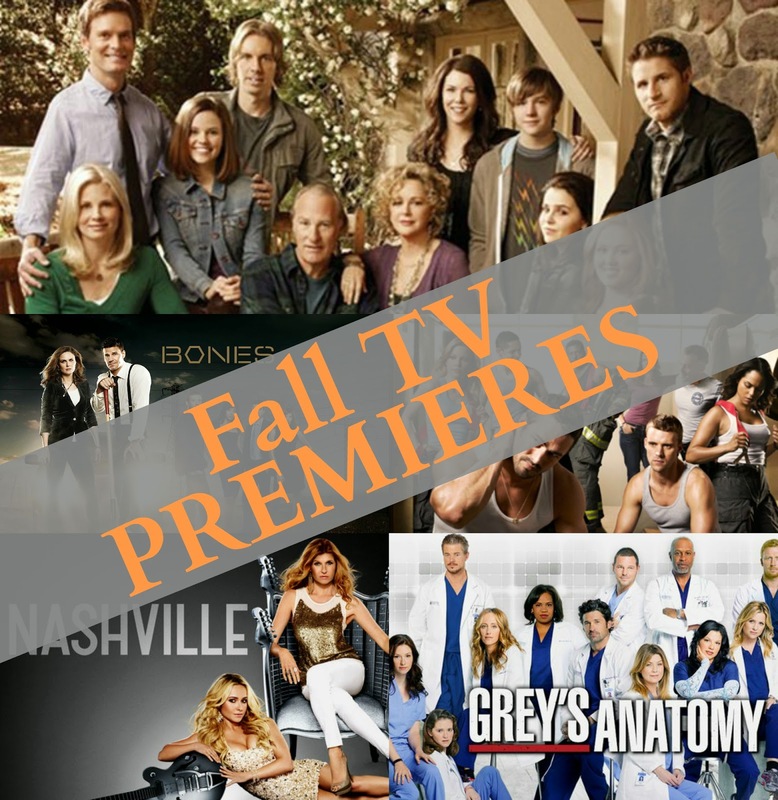 Last week was premiere week for many television shows. Here’s my take on a few that I loved. Chicago Fire is a series that I absolutely, positively love! I mean, seriously LOVE (and it’s not just because it’s about hot firefighters…). I had been really anticipating its season premiere, and I wasn’t disappointed. Instead, I was floored. They killed off one of the main characters, and I definitely didn’t see it coming. It reminded me more of a season finale than a premiere, but I’m excited to see where they go with it! Losing Shay was emotional for me…it hurt. I get invested in the characters and their relationships with one another, and I definitely felt the hole that was left by Shay’s demise in the show. However, I do think that it affected me less because it had been quite some time since Chicago Fire was last on. Being the first episode back, I hadn’t had a lot of time to really feel for the characters again, and Shay was gone within the first five minutes. Although, the flashbacks tugged on the heart strings. It definitely brought about a lot of emotions and mixed feelings for the crew, especially Dawson! I look forward to seeing how this season plays out. Grey’s Anatomy is my hands-down, all time favorite TV show. Seriously. :). Oh, Shonda…how you don’t disappoint! I got home from work and immediately watched Grey’s. It never fails to pull me in! I absolutely loved the gourney falling from the roof bit – seriously. It’s so out of the box, but perfect for a Shonda show. Oh, and Meredith crawling into Alex’s bed in the middle of the night, kicking out a naked Jo…absolute favorite scene from the season premiere! Hands down. Epic. He’s her person now! Aww. Parenthood is in its final season (insert sobbing here). Although I’m sad to see this show come to an end, I agree that it’s time. They’ve put these characters through every single ringer possible and shed light on so many of life’s difficulties: divorce, teen pregnancy, high school, cheating, Asperger syndrome, the ups and downs of relationships, running for political office, starting a business, going to college, war… And the season premiere this past week was one for the record books! I was surprised by the non-urgency of Zeke’s collapse in Vegas, but it seems that more light will be shed on that situation in the upcoming episodes. I’m not sure I like Sarah with Hank. I liked her with Mark, but obviously my opinion doesn’t matter. It’ll be interesting with Ruby, Hank’s daughter, partially living with him now. Also, Amber’s secret is out – she’s pregnant! I think she’d make the best momma ever and am looking forward to seeing how it plays out. The relationship with Joel and Julia hits a little too close to home for me. It looks like Joel might be coming around, but is it too late? Has Julia moved on? It’s a lot of back and forth, and it hurts my heart. Seriously. But bring on the final season! There’s just soooo much going on in this season! But I’m super pumped for Adam and Christina’s school opening! I can’t wait to see if Max continues going and makes some new friends. Bones wasn’t initially on my most anticipated return list, but the season premiere definitely ended in a way that was completely unexpected! Dr. Sweets dies. What?! It completely threw me for a loop. And then, I tried to imagine this show without Sweets, and it’s pretty much impossible. He was nerdy, goofy, and an FBI agent. He was the perfect addition to the cast and I just don’t know what the show will be like without him. I guess I’ll find out, as the team says goodbye to him this week. However, I know that by his death, the drama that landed Booth in prison will soon be over *fingers crossed*. I just don’t know that they can drag it out much longer after something so HUGE as losing Sweets. At least, they better not. And poor Daisy! She’s pregnant with his son and now will have to do it alone. But, it’s also a way for Sweets to live on in the show. We’ll see how it goes. Chicago Fire..!!!! What the hell is going on!? I could NOT believe it when they just offed Shea. I mean seriously. I'm sure you've seen the second episode by now and I was happy with how they didn't just forget about her. I'm glad they're making the characters hurt over her being gone. I couldn't believe the way they killed her off. It's totally upsetting. But good for ratings. Parenthood. I love that show. I love how they have that way of pulling on all of the right heart strings. How Amber tells Zeke she's pregnant and it is THAT that encourages him to do the surgery. I mean… Oh what a great show. I can NOT believe it's coming to an end this year. Oh and for the record I didn't like Mark with Sarah. He was such a baby .. literally. She was too old for him and he had that funny Captain Hook mustache.. lol! I'm all for Team Hank. He's just a little rough around the edges is all!